The casual football fan may or may not remember when the NFL had a period where the NFC won 13 Super Bowls in a row. True free agency didn’t come to the NFL until the 1993 season yet the disparity between the two conferences in terms of physicality was pronounced. Or at least it had been leading up to the mid 1990s. However a series of long time NFC Head Coaches started to switch conferences beginning with Bill Parcells. Coaches look to sign players they are most familiar with. 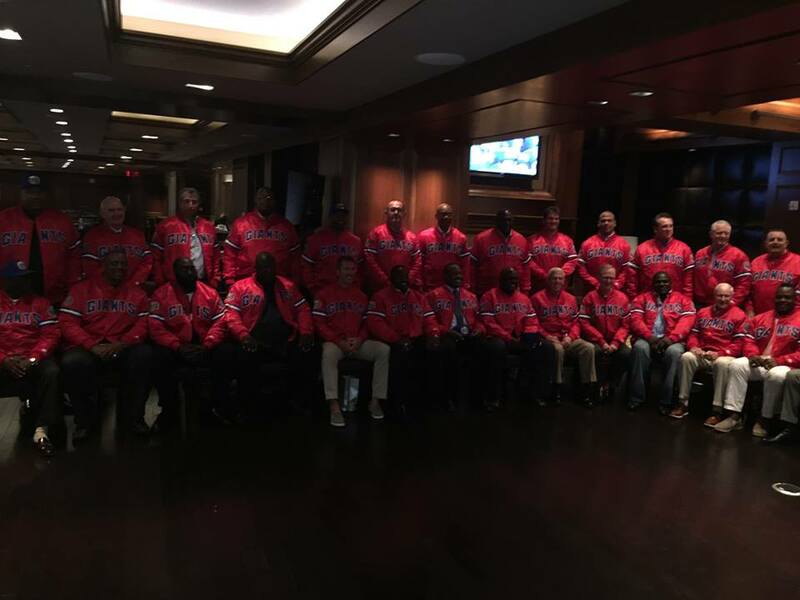 The ’96 Patriots roster was populated by players from the NFC. Keith Byars (Eagles), S Willie Clay (Lions), CB Ricky Reynolds (Bucs), DE Mike Jones (Cardinals), DT Mark Wheeler (Bucs), and starting G William Roberts with reserve G Bob Kratch from the New York Giants respectively. 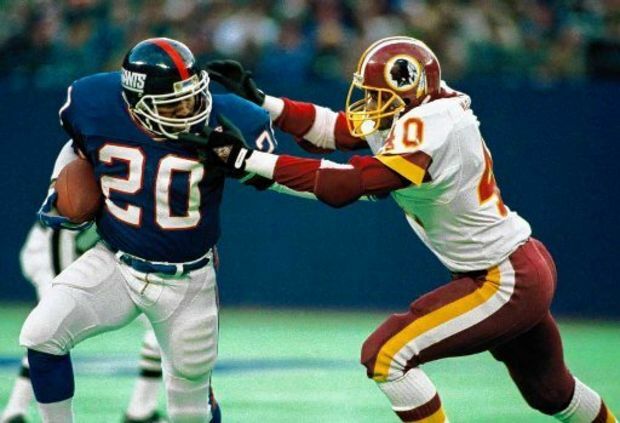 Then you had third down back / kick returner Dave Meggett (Giants) who made the Pro Bowl, CB Otis Smith (Eagles) and reserve CB Michael McGruder (49ers). They drafted NFC style players in LB Chris Slade and DE / LB Willie McGinest. Defensive Coordinator Bill Belichick platooned his personnel based on individual strengths from week to week. McGinest was their only defensive Pro Bowl performer. Their stats didn’t wow you, finishing 19th overall, they seemed to always come up with key stops. Before there was the draft question of Ryan Leaf or Peyton Manning in ’98, the first was Drew Bledsoe or Rick Mirer in 1993. 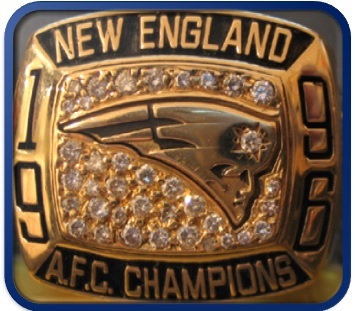 Bledsoe, the #1 overall selection, had come into his own leading the Patriots to the playoffs in just his 2nd season in 1994. Now in his 4th season he threw for 4,086 yards and 27 touchdowns leading New England to the Super Bowl. However the Patriots in ’96 had 2nd year runner Curtis Martin. During the season they forgot to give him the football as his stats fell from 368 carries for 1,487 yards to 314 attempts gaining 1,152. This trend continued in the Super Bowl as Martin had just 11 rushes for 42 yards in the game. One of which was the 18 yard touchdown in the 3rd quarter where he broke 4 tackles. This touchdown set up Desmond Howard’s 99 yard kick return to ice the game for the Packers. New England could have won had they fed Martin the ball. This would have kept Bledsoe’s passing lanes open. Instead Bledsoe’s 4 interceptions, 3 in the 2nd half sealed New England’s fate. How different would Bledsoe’s career and legacy been had New England won Super Bowl XXXI? For those of us old enough to have enjoyed decades of pro football, we still remember the era of the super back. The power and speed of an Eric Dickerson, toughness and fury of a Walter Payton, or the electrifying burst of a Tony Dorsett. Several prototypes come to mind and Morris at 5’7 190 lbs and a straight line runner, just didn’t fit any. He was the epitome of a ball carrier. One who could only get the yardage a given play was designed for. However as New York Giant Head Coach Bill Parcells was establishing his power running game in the early 1980s, he decided to move Rob Carpenter to Fullback which inserted Morris into the line-up. Morris had more of a burst and once he gelled with the offensive line, he may have given us the best 2 year stretch of any runner in the history of the NFC East. Morris evolved into a runner. 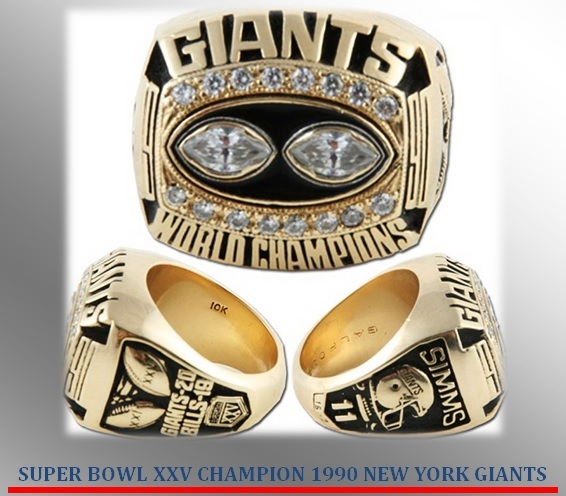 After powering the Giants to a wildcard finish in 1985, they had bigger aspirations for 1986. Could he have an encore performance to rival his breakout 1985?? In 1985, Morris rushed for 1.336 yards and a career high 21 touchdowns. He followed that up in ’86 with 1,516 yards and 14 more trips to the endzone. When you look at the best two year period v. other great NFC East backs of his era, the numbers will surprise you. The only two that outscored him were Riggins in ’83 and Emmitt in ’95. Ironically those are the years that each set the NFL record for touchdowns in a season. 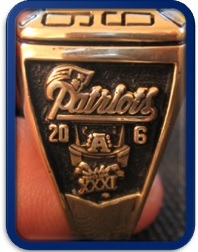 Along with Smith and Riggins, Morris powered his team to a Super Bowl win in his 2 year period. It’s also surprising he had a better two year total than OJ Anderson when he was with the Cardinals. In another ironic twist it was Anderson who replaced Morris in 1989 after Joe broke his foot. An injury that subsequently ended Joe’s career. 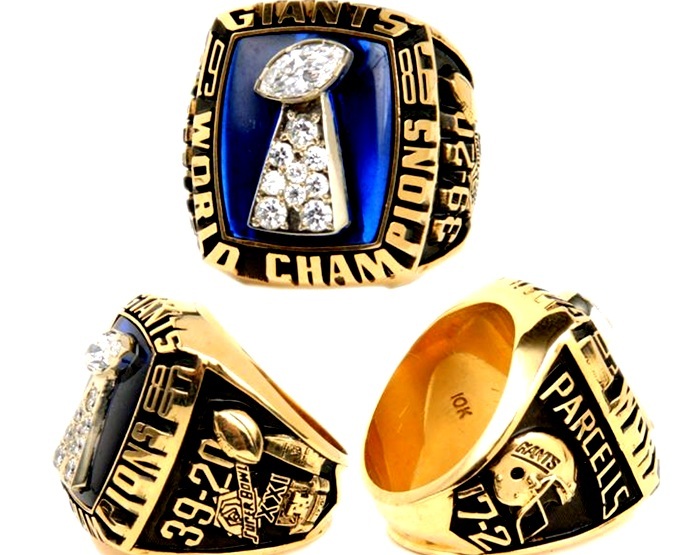 Morris didn’t finish with a Hall of Fame career (5,585 yds 50TDs) but he did power the ’86 Giants to their Super Bowl XXI championship. He developed into a power runner despite his size and was as good a running back the NFL had ever seen. Up until Tiki Barber, this was the New York Giants best running back and it’s worth taking a look back. 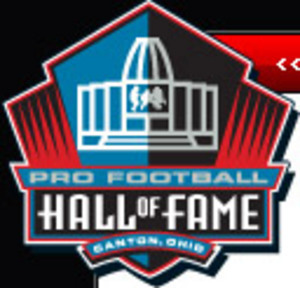 The Pro Football Hall of Fame is the culmination of a career where a player, coach or owner stood as giants of the game. Once they’re enshrined here, they belong to every football fan for all eternity. Family members and fans can come to a place where they’ll be forever young and immortalized as one of the greats of all time. This was the 50th anniversary class of those that went in. There will be another day for those that didn’t make it on this ballot but this is where we celebrate those that did make it. 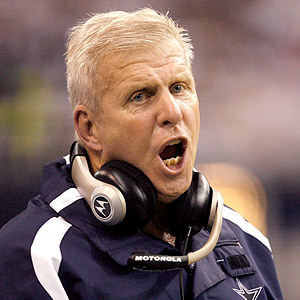 Coach Bill Parcells – The only coach in NFL history to take 4 teams to the NFL’s post-season. Although many still think of him as the Head Coach of the New York Giants, don’t forget he took the 1998 New York Jets to a 12-4 record and the AFC Championship that season. This came on the heels of taking the New England Patriots to Super Bowl just two seasons before. His last good team was the 2007 Dallas Cowboys that finished 13-3 that should have played for it all. 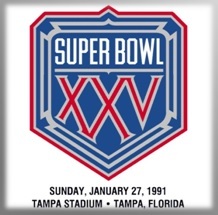 If not for a Patrick Crayton dropped pass in the 4th quarter, he may have had a third make the Super Bowl. He finished 172-130-1 in the regular season and was 11-8 in the playoffs including 2 Super Bowls. Yet think about it?? He almost led four different teams to the Super Bowl, the latter three in an 11 year period. His famous departure from New England where he claimed “If you’re going to cook the meal you should be able to shop for the groceries.” He shopped for former Patriot in Hall of Fame back Curtis Martin and resurrected Vinny Testaverde’s career and pointed Bryan Cox in the right direction. He’s now where he belongs, among the true giants of the game. WR Cris Carter -What can’t be said that we hadn’t already said in our article about his Hall of Fame candidacy?? Has there been a better set of hands in the history of Pro Football?? How many ridiculous one handed catches did Cris Carter make during his great career with the Philadelphia Eagles and mainly with the Minnesota Vikings?? At first glance, the numbers stand out with 1,101 receptions for 13,899 yards and 130 touchdowns. Good for 2nd most in NFL history for receptions and receiving touchdowns at the time of his retirement.One of the greatest attributes is that he honed his skill amidst a myriad of pedestrian NFL quarterbacks. The Vikings claimed Carter from the waiver wire for $100!! They nabbed a Hall of Fame wide receiver for half the price of a smartphone. Think about that for a second. With the humbling experience he rededicated himself and gave up his tempestuous ways and became a polished receiver with the Vikings. So polished that he thrived with moderate quarterbacking in Minnesota in the ensuing years. Do you realize that in just 12 years for the Norsemen he caught 1,004 receptions for 12,383 yards and 110 touchdowns?? Do you also realize he did most of this while catching passes from the likes of a moderately successful Sean Salisbury, a decade away from developing Rich Gannon, an eroding (with his fourth team) Jim McMahon, a developing Brad Johnson, and an on the downside late 30′s Warren Moon?? Now why didn’t we place an out of retirement Comeback Player of the Year Randall Cunningham with this group?? 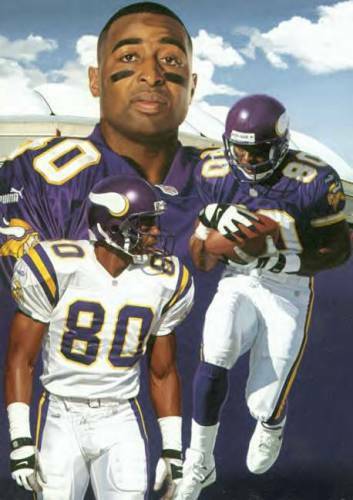 Because his three best years came before the famous 1998 Vikings everyone remembers with Cunningham & Randy Moss. Carter, along with Jerry Rice became the first receivers not named Sterling Sharpe to have 100 receptions in back to back seasons for 1994 & 1995. Carter caught 122 in ’94 then 122 in ’95 as compared to Rice’s 112 and 122 respectively. It was 1994-1996 where Carter did his best work. In 1994 his stat-line was 122 rec. for 1,256 yards and 7 TDs. 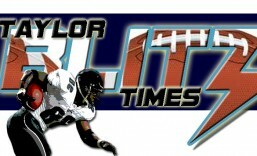 He followed that up with 122 receptions for 1,371 yards and a career high 17 touchdowns in 1995. Lets compare these numbers with Hall of Famer Jerry Rice and should be Hall of Famer Sterling Sharpe over their best 3 year periods. Where Sharpe’s numbers are 1992-1994, Rice and Carter’s are both from 1994-1996. No longer does he have to be compared or concerned about not being enshrined. We will hear this come August: For induction into the Pro Football Hall of Fame, I present to you “From THE Ohio St University” Cris Carter!